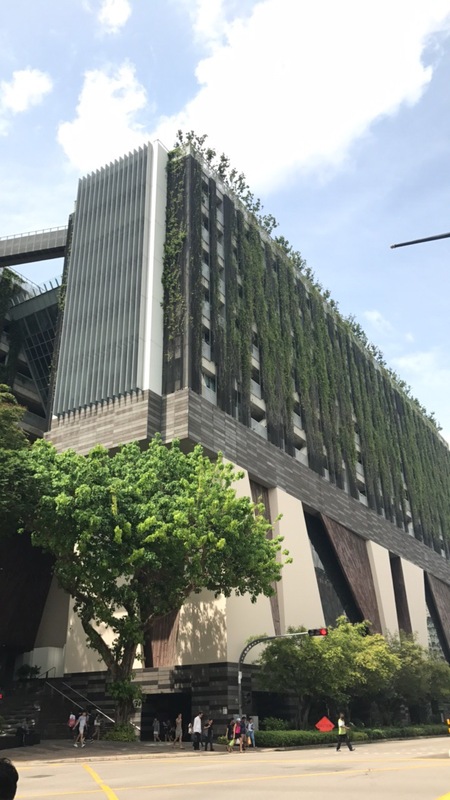 Singapore Management University, or SMU, is a relatively new institution. 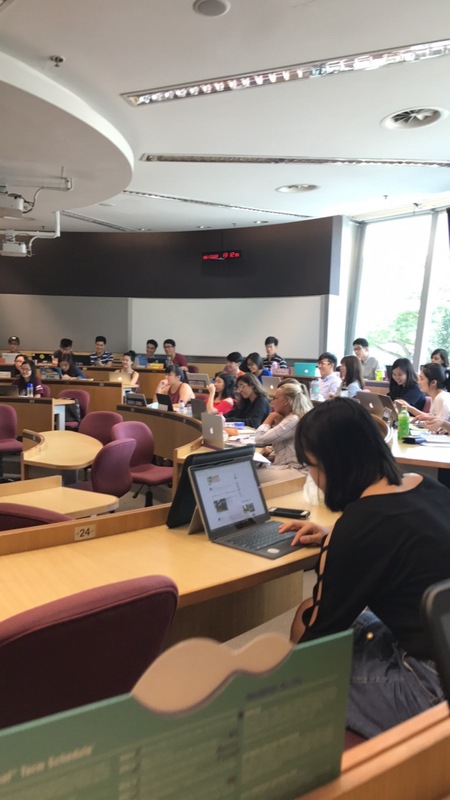 Established in 1999, SMU is unique among Singaporean and even Asian schools because its teaching style is based on the teaching at many American colleges, and modeled in particular on the teaching style of Wharton’s undergraduate program. Despite its youth, it’s already established itself as one of the best universities in Asia, known in particular for its School of Business. When I read in my syllabi that class participation would account between 15-25% of my grade for my economics and operations management classes, I was a bit surprised. Even at Richmond, where many of the business and economics classes had small classes relative to the rest of the U.S., class participation didn’t play as large a role. Students w ere encouraged to ask questions and offer answers to in-class examples, but rarely were we actually graded. I thought that it would be similar in SMU – as long as the professor knew your name, and as long as you asked a question or offered to do an example every other class, you could expect a B+ or an A- for class participation. The outside of SMU’s school of business. 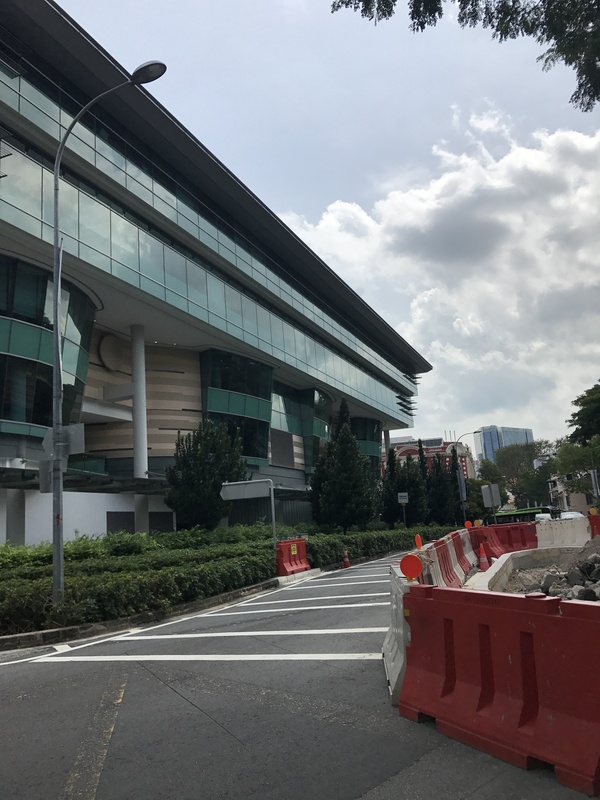 Like many parts of Singapore, SMU is constantly under renovation and expansion to meet greater demand. It turns out, SMU earned its stellar reputation; class participation is taken so seriously at the university that every student is required to bring a nametag to place at the top of his or her table, and a graduate student is assigned to each class to take notes on the comments made by each student and assign a grade at the end of each session. It’s quite an interesting phenomenon to observe. At Richmond, even during my FYS experience, at most you would have a third of the class that make up the majority of the participation, another third that raises their hand on occasion if they’re feeling particularly ambitious, and a third that spends most of the class watching their nails grow or doodling or swapping groupme messages. At SMU, you can expect half of the class’s hands to shoot up as soon as the professor asks for a volunteer. During in-class problem sets, students will race to complete the questions and offer their answers out loud. Whatever the founders meant by a Singaporean university based on “American colleges,” it definitely did not mean the same thing I had in mind when I applied to SMU. Truthfully, I am a bit disappointed that I’m not enjoying the totally stress-free, light workload I expected out of a study abroad experience, I think the opportunity is a bit refreshing. Each class is exciting and important because you hear how other students process their ideas and approach problems, and more importantly, interesting conversations happen because participation plays such an important role in the final grade that everyone has no choice but to do the readings, and no choice but to make an effort to participate in in-class discussions. There’s something to be said for the “American” style where professors tend to not care if you participate or not. There’s the idea that by the time you’re in college, you’re something of an adult, and whether or not you make the most out of your $60,000 year is up to you to decide. You can ace courses at Richmond and at many other universities by sleeping your way through class and cramming for the midterms and finals, but we all know that isn’t the most wholesome or effective way of learning. Part of me thinks that I could have benefitted from a system like SMU’s, as I think I fall into that category of people that laze away until the hell weeks of the semester. At the same time, I think it also puts too much stress on many of the Singaporean students. While I’ve made a number of friends among the exchange students from making dinner plans or seeing each other out during the weekend, it’s been a bit more difficult to do so for native Singaporeans. So many of them are busy meticulously preparing every portion of our class readings and powerpoints that I often would just skim at home, busy staying in all-day meetings for a group project that I would just create a google doc for, or busy doing integration and differentiation practice problems for a finance exam that I would otherwise consider doing but end up being too lazy to do. It’s a bit of a shame, because I feel that this level of preparation is thorough to a fault. Even at Peking University, China’s top institution, the students had enough time to interact with me outside of a classroom environment. Midterms at SMU are without question the most difficult exams I’ve ever taken in my life. In high school and college. I’ve experienced two kinds of midterm/final exams in college and high school: the first are exams that literally just test whether or not you know the material, like the ones in many of my math classes where they give you a difficult, multi-layered problem and ask you to solve or prove it. Some require more critical thinking and may not necessarily have a correct answer, like many essay-type questions in social sciences. I expected my exams to fall into one of these two categories at SMU, but not both. In my operations management, financial mathematics, and international trade exams, we were given cases studies that either too much or insufficient information, and were required to ignore unnecessary information or make additional assumptions before we began the process of solving an often multi-step math problem. Recess week could not have come at a better time!